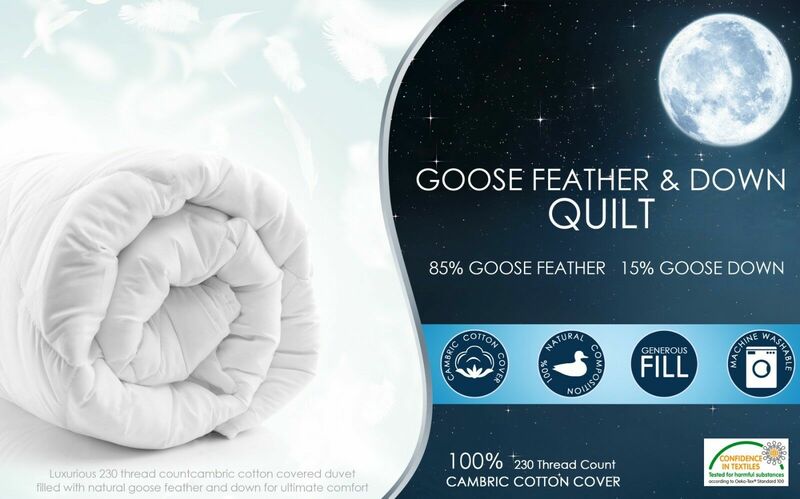 This luxurious duvet is made with 85% Goose Feather and 15% Down, finished with a pure 100% pure natural cotton cambric cover. Stitched boxed construction which keeps the filling evenly distributed preventing any cold spots. The mass per square metre of most continental quilts lies within the range 350g to 1000g.